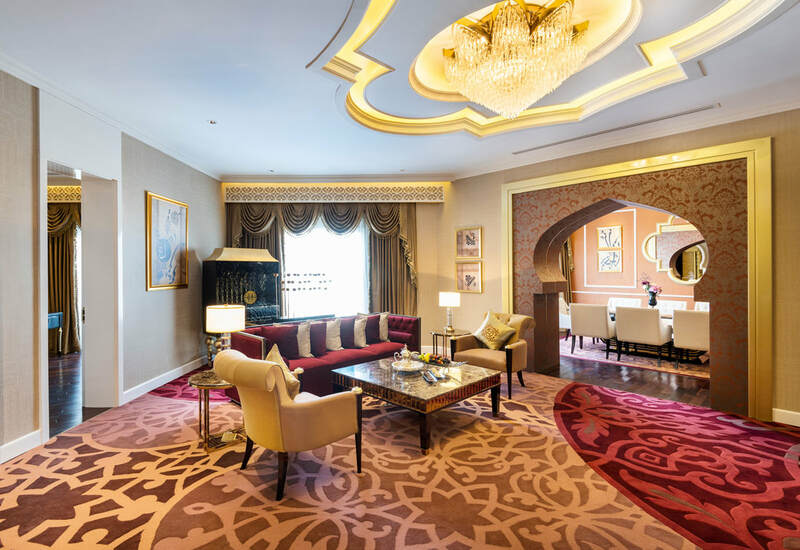 Experience the epitome of luxury by staying at Ezdan Palace Hotel. 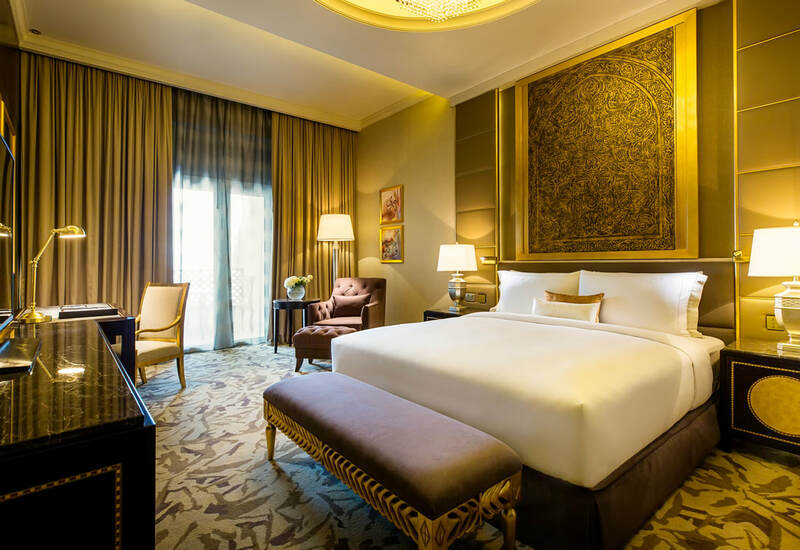 Our 195 lavishly appointed rooms and suites have been carefully designed by a renowned architect to ensure a comfortable and enjoyable stay for every guest. 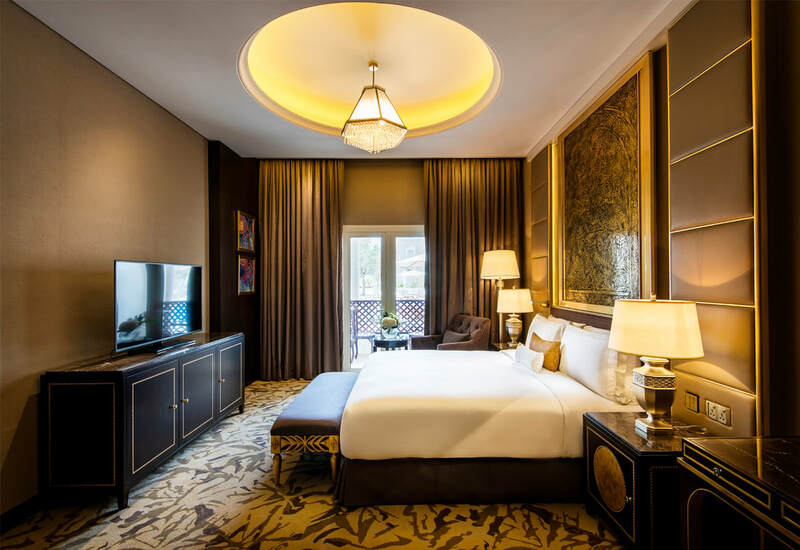 Boasting unique décor and upscale spaces, all our rooms offer luxurious bedding, exquisite furnishings and a marble bathroom with a separate bathtub and shower. Every guest room is equipped with a Nespresso coffee machine, mini fridge, in-room safe, 49” Full HD Smart TV and free high-speed Wi-Fi. Most rooms are complemented with a private balcony. Featuring the finest in design, style and elegance, our exceptional accommodation allows for complete relaxation, while ensuring all your needs are taken care of. Planning your next trip to Qatar? 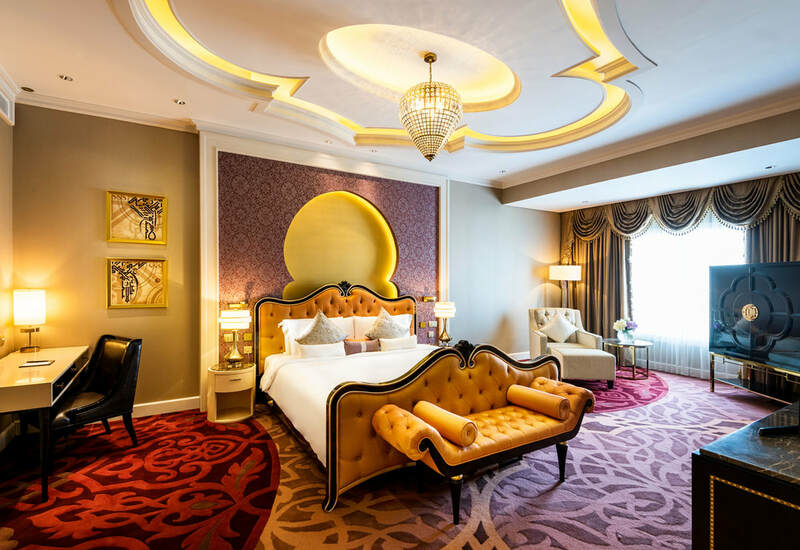 Spoil yourself with an unforgettable staycation at Ezdan Palace offering lavishly appointed rooms and suites with unique décor and sophisticated modern furnishings. 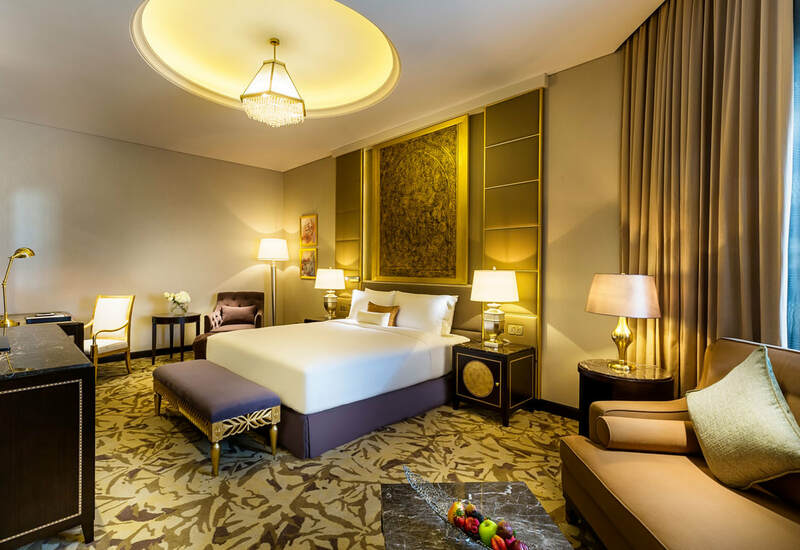 *Room preferences request is subject to the hotel availability (such as accessible rooms, interconnecting rooms, smoking or non-smoking options). These one-of-a-kind rooms redefine standards in luxury, featuring an opulent design and sophisticated modern furnishings. 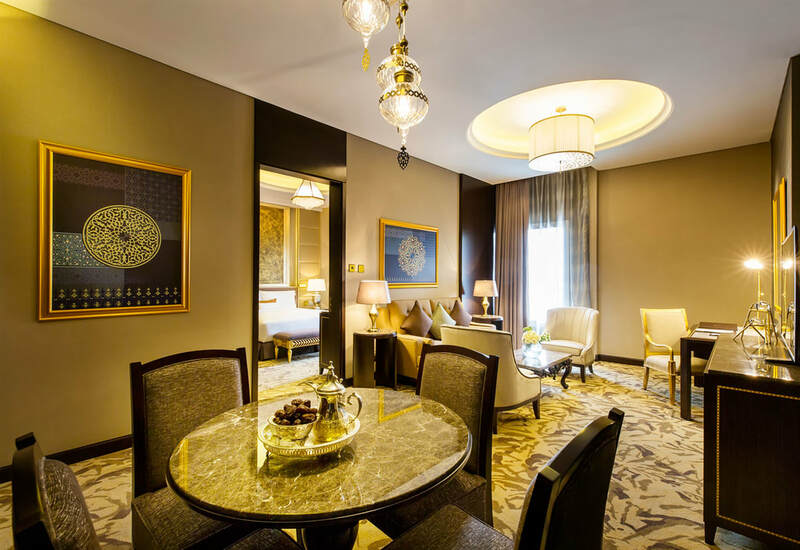 Designed with attention to details, our elegant and spacious Deluxe rooms offer the ideal luxury escape in the city. These entry-level suites, housed in a contemporary enclave of elegant furnishings, offer comfortable and stylish living space of 62 sqm. These beautifully appointed suites with a generous space of 78 sqm set new standards in contemporary comfort. Spanning over 85 sqm, these signature suites feature chic design and generous space, supplemented with all the standards of luxury living. 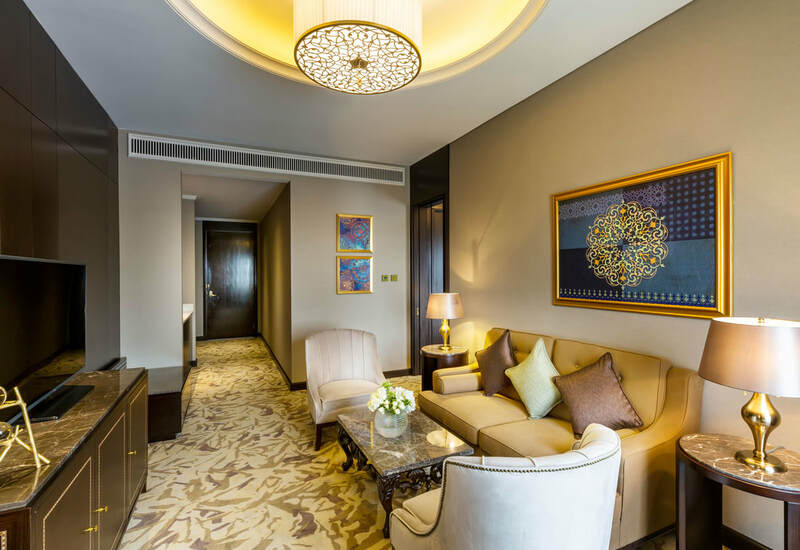 A class of its own, this is the hotel’s most exclusive residence and the epitome of luxury, a sight to be seen that spans over a generous 178 sqm.